Easily manage products and receipts. Is there a better alternative to Warranty Hero 2? Is Warranty Hero 2 really the best app in Home Inventory category? Will Warranty Hero 2 work good on macOS 10.13.4? 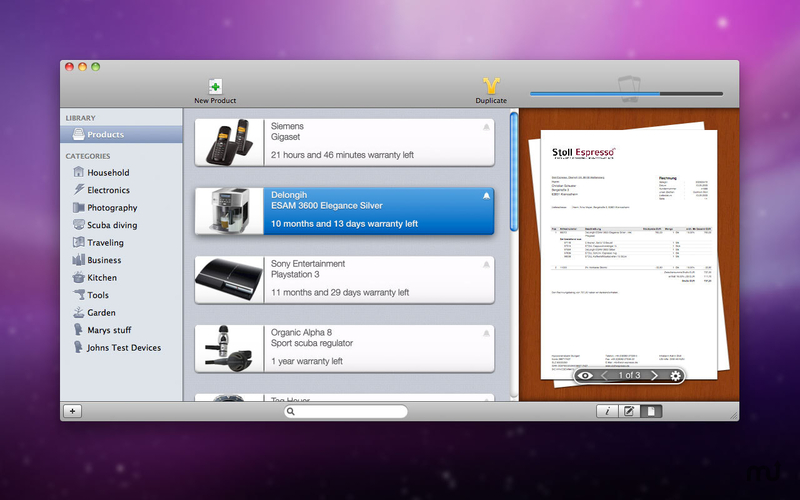 Warranty Hero 2 is the home inventory mac app with a focus on products, ease of use and gorgeous user interface. Warranty Hero 2 needs a rating. Be the first to rate this app and get the discussion started!